Nancey Jackson Johnson is more than a nationally known recording artist with a signature voice and a four octave range. She is a virtuous woman of God, an ordained and licensed Minister of the Gospel, who is passionate about ministry, marriage, motherhood, mentorship…. and yes, music. You can say that it’s the five M’s mentioned above that defines her and makes Nancey Jackson Johnson exciting for gospel music lovers. She stepped away from recording and touring for ten years to focus on family and personal growth- now she’s back and more powerful than ever. Born the youngest of six children in Newark, New Jersey, to a pastor/father and a loving Godly mother, Nancey began singing in her family’s church choir at age six. “I come from a musical family,” she says, “but I also grew up in a wonderful period of the ‘70s. Stevie Wonder, Aretha Franklin, Hawkins Family—they were my foundations.” Despite the kaleidoscopic influences on her music, Nancey is adamant that biblical references underscore every song she ministers. In addition to a firm foundation and influence of family, Jackson-Johnson had strong local industry support from key artists and producers like: Rev. Milton Biggham, Rev. Jeff Banks and the Revival Temple Mass Choir, Alvin Darling and Dorthy Norwood. 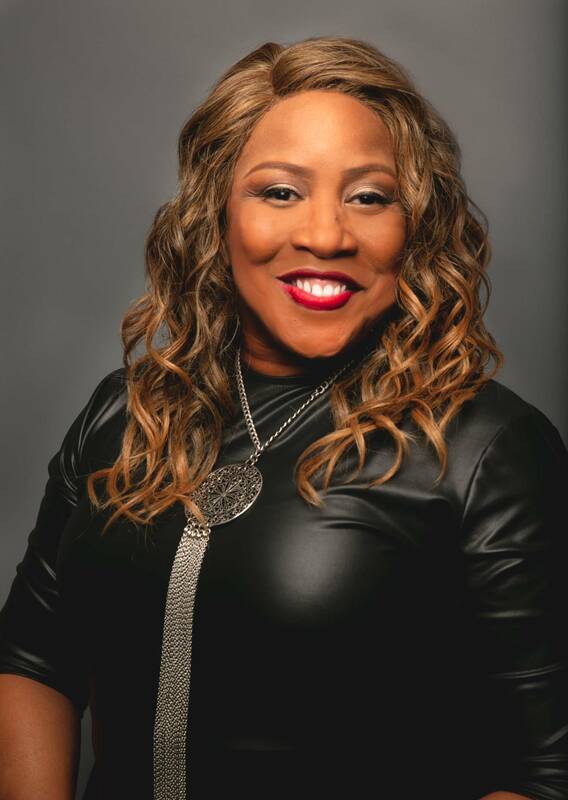 These respected individuals in the gospel music community saw her talent early on and shared their platforms by positioning her with lead vocal recordings and special appearances. In 1997, Harmony Records signed Nancey to a recording contract through Sony Music distribution. Her debut album, Free, Yes I’m Free, followed. It yielded the successful title single as well as the radio hits “My Soul” and “Set Time of the Hour.” Her sophomore offering, Relationship, featured an all-star production team, including GRAMMY Award-winner Michael J. Powell; Stellar Award-winners Tonex, PAJAM, and Fred Hammond; and Dawkins & Dawkins. The album spawned the infectious hit “Crazy Praise” and earned Nancey a Stellar Award nomination. Nancey discovered she had untapped gifts like directing choirs (Christ Church in Mountclair NJ) and teaching vocal dynamics, writing plays and event planning. For six years, she and her husband, Samuel, produced “Praise 732″‘ an open mic event for Christian artists. In 2003, Nancey became an ordained and licensed minister and currently serves as Director of the Creative Worship Arts ministry at Greater St. John M.E.R. in Elizabeth, New Jersey. During her break, Nancey kept connected to the gospel music industry. She recorded “Prayer Song” for Haitian relief with Kim Burrell and Krishnar Lewis. She joined her high school music teacher, Rev. Stefanie Minatee and Jubilation, in recordings of “Lead Me to the Rock” (2006) and “He’s Everything to Me” (2011). Nancey’s contribution to Rev. Minatee and Jubilation’s Launch Out Project earned her a second Stellar nomination, for Traditional Female Artist. She went on to contribute the lovely “Just for Who You Are” to Judith Christie McAllister’s Sound the Trumpet in 2011. The new CD, The Heart of Nancey Jackson Johnson, was released in June 2014 which features another all-star team of producers, including GRAMMY Award-winning Kevin Bond, Asaph Ward, Clay Bogan, and PAJAM. Some of the CD Tour performance highlights are: Bishop TD Jakes WTAL at Megafest (2013), Pastor Donnie McClurkin’s, Church Without Walls, AIM COGIC Convention, Bobby Jones Gospel BET Taping, Newark, NJ Unity Day, and a host of conferences and special events in the country. In addition to music ministry. Nancey enjoys writing plays and planning events. She recently planned her first Business Fair called BHF (Blessed & Highly Favored) Business Fair featuring women in business. It was a major success. One of her newest assignment is most dearest to her heart, The “I Matter Empowerment Session” was birthed from her personal struggles of feeling insignificant but is now what has fueled her to help others become their best for the world. Featured as one of the songs on her latest CD, “I Matter” is not just a song, but a movement to encourage this generation to live their lives on purpose to make a difference. As an ordained minister and Certified Life Coach, Nancey encourages this generation through this universal message and is currently hosting “I Matter”events at churches, workshops, public and private schools. Her motto is “Using my life,……making a difference”. Nancey has had the the privilege of going to Japan in 2016 and 2017 for a Gospel tour called “Orange Gospel, produced by Kyoko Uchini. This mission trip focused on bringing awareness to child abuse in Japan. The month long tour featured Nancey in concert with local artist and her conducting workshops throughout the nation of Japan. 2018 ended on a high note. Jersey Shore Worship in conjunction with Bethel Community Church produced the first “United For Christmas” where area families from local agencies attended and receive donations. With special guests and worship by the 100 Voice Choir and Dance Troupe, over 300 people attended along with the Mayor of Neptune. The Donation Celebration included food baskets, toys, hats & scarves, and more. Nancey is proud to be on the Core Team of a new regional women’s conference called, “Women Empowered to Win”. Target date of the conference is November of 2019. Nancey’s heart for women owning their impact has been on her heart for years. She is excited to be apart of the planning team with other key leaders in her region. Nancey currently serves as one of the in-house ordained ministers and as the Minister of Music at her home church, Greater St John. She enjoys facilitating the Women’s Ministry and creating special events for her church that her brother, Earnest Jackson pastors. She also serves as the Musical Director for Second Baptist Church in Asbury Park, Dr. Samaj Vanzant, Pastor, as of February 2018. As enthused as Nancey is about her ministry and music, she is also just as fervent about her family. She and Samuel have been married for 18 years and are blessed with two sons, Jordan (16) and Koen (10) and Trixy the dog (10). Nancey Jackson Johnson is more than an artist of impeccable and passionate vocal prowess. She is a 21st century minstrel whose mission in life now centers around ministry first…then music.